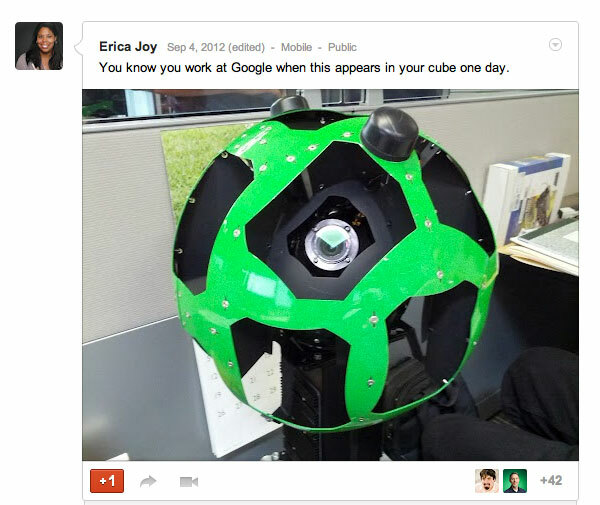 Googler, Erica Joy, posted a funny picture of a street view camera cube on her desk. The funny part is the context around the picture, where she wrote, "You know you work at Google when this appears in your cube one day." This makes for a very nice paper weight, don't you think? Of course, Erica won't give the real reason for the cube ending up on her desk, but a cool image to share anyway. The image is found on her Google+ page.